Every person possesses certain skills and talent, that makes us different from others. We often use the terms talent and skill interchangeably, without knowing the fact that these are different from one another. While talent is an inborn ability or natural aptitude of a person which is often hidden and needs recognition. It means, being good in a certain activity, without actually learning or acquiring it. Unlike skill, which is a learnt ability, and it can be developed in someone if he/she put his time and efforts in it. The efforts need to be voluntary, systematic and sustained, to acquire a skill and satisfactorily undertake various tasks and activities. In this article excerpt, you can find all the important differences between talent and skill, you might be unaware of. Meaning Talent is an inherent ability of a person to do something. Skill is the expertise to do a particular task efficiently. What is it? It is something God gifted. It is something you develop. Possessed by Few people only. Anyone can possess it through learning. By the term talent, we mean a special ability to do something possessed by a person naturally. It is something, which you do the best without putting extra efforts into it. Talent is an inborn quality within the person. It is often hidden and raw, which needs recognition at the right time. It can be improved over time if efforts are made in the right direction. Every one of us is born with a special quality; that is talent. Not only in the field of study, a person may possess talent in dancing, singing, cooking, gaming, acting, swimming, counseling, influencing, painting, etc. If you set a kid free and alone, he will engage in the activity, he likes most, or he is best in. It often happens with many people that their talent remains unspotted because of lack of proper guidance, support and opportunity to showcase it. Skills refer to an ability or an expertise in performing a task, obtained by a person through systematic learning, practice or experience. It is the outcome of continuous efforts and improvements made to gain proficiency. Skill enables you to perform a task efficiently. As there are no criteria for acquiring skills, it can be practiced by any person, but it requires lots of hard work, time and other resources of the person to develop it. It can be general or specific. General skills refer to the skills which are commonly acquired by the people like leadership skills, teamwork and so on. On the other hand, specific skills are those which are related to performing a particular task or job. The term talent refers to an inborn and the special ability of a person to do something. A skill is an expertise, which is acquired by the person by learning. Talent is God gifted ability, whereas Skill is an ability in which you put your time and efforts to develop. Talent is often possessed by a limited number of people. On the other hand, any person can learn a particular skill, if he has the capacity, capability, and willingness. Talent is hidden, that is why it needs recognition. As opposed to Skill, requires development, which can only be possible through practice. Coaching may prove helpful in getting the best out of someone i.e. talent. Conversely, training is necessary for acquiring a skill, to put your best into something useful. After reviewing the above points, it is easy to state that talent differs from skills in a sense that the former is inherited while the latter is acquired. 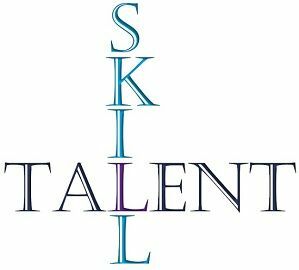 Talent along with skills is considered as a refined ability. If a person does mastery in his talent, then he will be able to fulfill his life goals easily and effectively.